There’s nothing Jurgen Klopp hates more than his players being taken on international duty and returning with injuries! It’s happened on a number of times this season, with the likes of Naby Keita, Adam Lallana, Sadio Mane and Mo Salah hurting themselves while away with their respective countries. So, it was our assumption that the boss would be quietly delighted when his first-teamers were unavailable for international duties. Joel Matip doesn’t play for Cameroon, Alberto Moreno isn’t in the Spain set-up and James Milner is retired for England – but Klopp reckons his vice-captain could return for the Three Lions! Milner scored against Arsenal at the weekend and the boss has taken time to discuss the 32-year-old’s performance. “Yes and Milly [Milner] was the one who saw it first and was quite, how can we say, was not happy… Was animated. That’s good. We changed it at half time and he was the right person to score the goal at half time,” he told the Independent. “Millie is like wine, I like this idea as well. A very good red one. I’m not sure if Leeds is famous for wine? He’s getting better. I think Millie should buy all of the newspapers and read this. 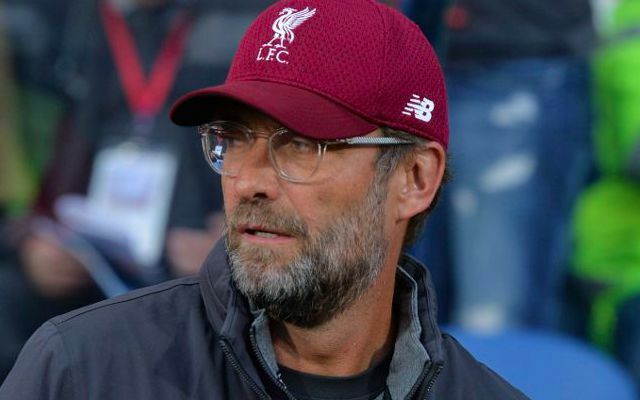 Perhaps Klopp wasn’t being entirely serious and we can guarantee if he was offered the chance to keep all of his players at Melwood during the next set of international fixtures, he’d take it! Following this upcoming weekend’s clash with Fulham, there’s yet another two-week gap without any Liverpool matches – heartbreakingly.